No matter if you are looking to start building your credit or need to re-build your credit, a secured credit card is one of the best tools to use on your journey. Secured cards require you to pay an initial deposit that will eventually be your credit limit. These cards are much easier to get approved for if you have little to no credit and the best thing about them is that if you upgrade to a secured card or close the account you get your deposit returned. You also get the benefit of these cards reporting to all three credit reporting agencies to show proof of good payments and help you build a new credit profile. As long as you make on time payments and keep your utilization low, you will have a stronger credit profile. You won't need a credit check when you apply, and you don't need a bank account to qualify either. If these are areas of concern for you, the OpenSky® Secured Visa® Credit Card is definitely worth a look. There is no credit check for applicants so this is a great option for people with really bad credit. Only a $200 minimum deposit to open the card. You can pay your bills with a debit card, check or money order... no bank account required. There's an annual fee of $35 and you aren't able to graduate or upgrade to an unsecured card. This card has one of the lowest interest rates for a secured card which means it will cost you less to use this card. 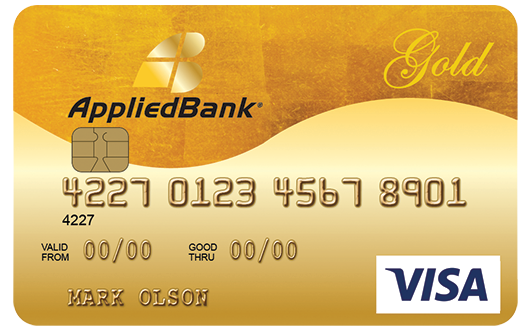 If high interest rates are an area of concern for you, the Applied Bank Secured Visa Gold Preferred Credit Card is definitely worth a look. One of the lowest interest rates for a secured credit card. Only a $200 minimum deposit to open the card. There's an annual fee of $48 and you aren't able to graduate or upgrade to an unsecured version of the card. 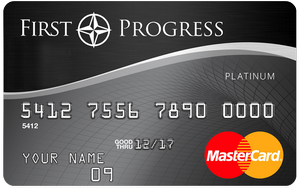 This card has no annual fee, which lowers the annual cost of using the card. 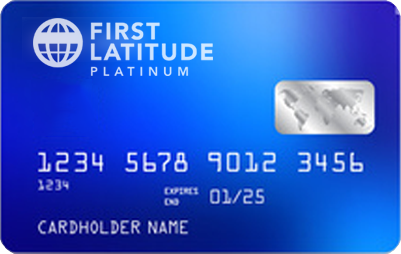 If a high annual fee is an area of concern for you, then The First Latitude MasterCard® Secured Credit Card is definitely worth a look. There is no annual fee on this card which makes it a great option for a secured card. There's an interest rate of 26.74% which is a bit high and you aren't able to graduate or upgrade to an unsecured card. 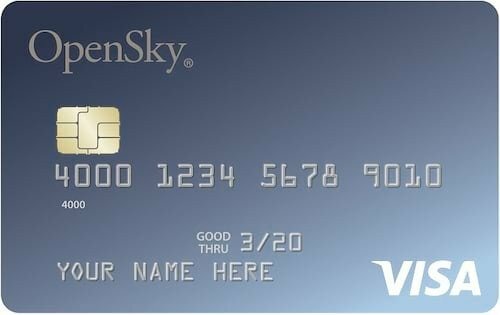 You can have up to a $2,000 credit limit if you want to deposit that much when apply for this card. If a low starting credit limit is of concern for you, the First Progress Platinum Select MasterCard® Secured Credit Card is definitely worth a look. There's an annual fee of $39 and you aren't able to graduate or upgrade to an unsecured card. While secured credit cards are for people with no credit history or bad credit, you have to keep in mind that there are still some risks that the lenders aren't willing to take. For instance if you currently have a bankruptcy or an unpaid charged off credit card. Even though you will be sending in a deposit to reduce the risk, creditors still want to feel confident in your current ability to pay your bills on time and they want to use your security deposit as a last ditch effort. You will also need to have some form of income so that you have proof of the ability to pay back what you use. You apply online - The credit card company looks at your credit report and score to determine if you are eligable for the card, if so, you're approved. Pay your deposit - Once you have been approved, you still need to fund your account with the security deposit and depending on the credit card company, you can pay with direct deposit, debit card, credit card, check or money order. Also be mindful that you don't wait too long to fund the account or the company could reject your application. ​They send your card - Depending on the company it can take from 7 to 14 days to get your card, once you receive it you want to use the candy bar method (buy 1 candy bar per month) to make sure you are making on-time payments and to keep your credit utilization low. Pay your bills on time - It is important to pay your bills on time because your secured card(s) will be reported to all three major credit reporting agencies. Upgrade Your Account - Using the above methods will help improve your credit over-time and when that happens you will be able to apply for unsecured cards. We wouldn't recommend canceling the secured card for at the least 2 to 3 years of usage and even then, if it is your oldest account, still don't cancel it. These types of accounts might have slipped your mind, but don't miss out on the opportunity to obtain credit or rebuild your credit with store or catalog cards. Even though you can only use these accounts at the store or location that issued you the credit, they will still report to all 3 credit reporting agencies and help you establish a credit history. Feel free to check out our Fingerhut review where we go over how their credit account works. ​Credit builder loans are being marketed as the way to build your credit, without a credit card. ​These types of loans are for people with little to no credit and they don't pull your credit to determine your eligibility. The way they work is that you take out a loan and the creditor holds onto your funds in a savings account. You then repay the loan over a specific monthly time frame and once all the payments have been made, the money is released back to you. Your credit will now show a positive payment history and a paid off loan; a win win situation for you. Feel free to check out our review of one of the best credit builder loan companies Self Lender. Another option you have (that won't cost you a thing) is asking a friend or family member, that is great with both their money and credit, to add you as an authorized user to their account. This option gives you the ability to get established credit and grow your credit history without a need for a hard pull on your credit and without having to come up with any type of deposit. The only draw back to this is that whatever happens to the credit, it will reflect on your report as well so getting a responsible person is very important. Of course, if you have no one you can think of then this method doesn't work for you, but it is a great alternative to secured cards. The Credit Knocks team selects the best secured credit cards available to us on their overall value, these factors include things such as the initial deposit fee required, annual fees, if a credit check is required, if there are any types of rewards programs and the ability to graduate your card as well as interest rates. We want to hear from you and encourage a lively discussion among our users. Please help us keep our site clean and safe and avoid disclosing personal or sensitive information such as bank account or phone numbers. Any comments posted under Credit Knocks' official account are not reviewed or endorsed by representatives of financial institutions affiliated with the reviewed products, unless explicitly stated otherwise. Credit Knocks is an independent, advertising-supported, information and review service. Some of the offers that appear on this site are from companies from which Credit Knocks receives compensation. All financial products and services are presented without warranty. When evaluating offers, please review the financial institution’s Terms and Conditions. Follow Mark on his journey from a low 500 credit score to a 700+ credit score. 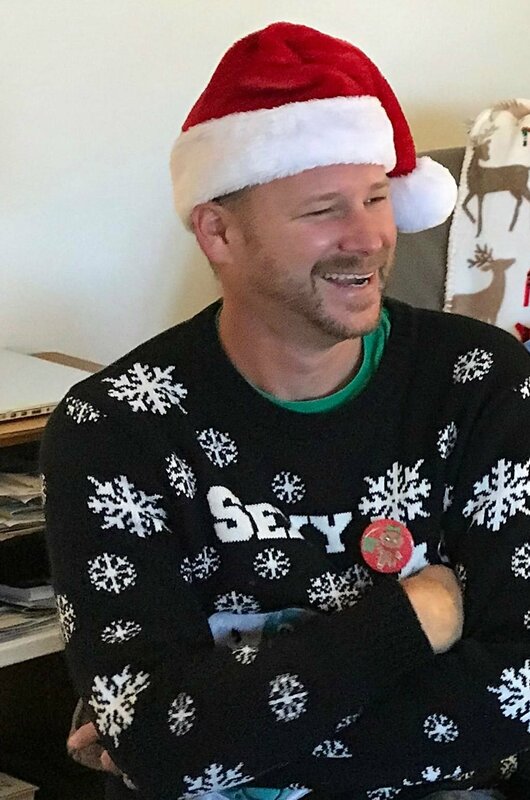 Get an update monthly and learn how he did it.